Predictions that the Samsung Galaxy S7 will receive the latest Android operating system, Oreo, imminently so making the S7 a sound choice of smartphone used. Oreo, the latest version of the Android mobile platform, has been gradually appearing on devices from the various smartphone manufacturers who use Google’s mobile platform since its original release in August 2017. Now that it’s appearing on the Galaxy S8, its predecessor the S7 can’t be far behind. When Google releases new versions of its Android mobile operating system, it isn’t automatically adopted straight away by all the various smartphone manufacturers. What tends to happen is a staggered release across not only the different manufacturers, but also amongst their phone models past and present. 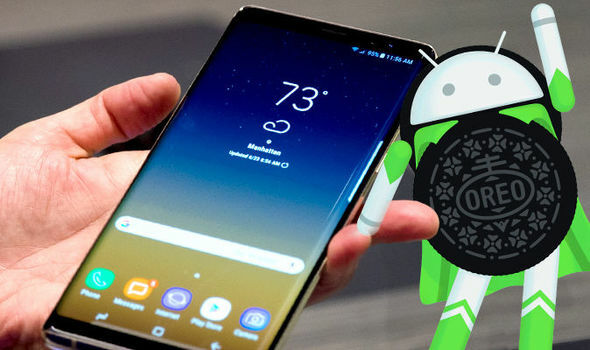 So in the case of Samsung, Oreo was available immediately on the latest Galaxy model, the S9, upon the smartphone’s release in March 2018 and its predecessor the S8 soon after. Now there are positive predictions that the S7, originally released in early 2016 and superseded by the S8 a year later, will receive the latest Android operating software within the first half of 2018. One clue that a smartphone is about to be upgraded to the latest Android is certification from the Wi-Fi Alliance, and it appears the S7 has received this so Oreo is imminent. By contrast to the varying timescales new versions of Android appear on smartphones, Apple’s iOS updates are made available for immediate download to all iPhones and iPad tablets that are compatible with it. This explains why more mobile devices from Apple are running newer versions of the operating system than those powered by Android. As of April 2018, less than 5% of Android devices had Oreo downloaded since its release back in August 2017. This is an undoubted disadvantage, but Oreo does include features that will make future versions far more quick and easy to download. It’s possible and even likely that Samsung and other makes using Android can bring new releases of the platform to their present and past phone line ups faster than has been the case so far. So with the Galaxy S7 being able to run the latest version of Android, it makes for an appealing smartphone option for those who don’t have to have the latest – and most expensive – Samsung or other smartphone release. The S7 was rated very highly by reviewers when new; some considered it the best smartphone available on any platform, so it still has much to offer. It represents a canny purchase in that buying a smartphone a generation or two behind the very latest releases often gives the best balance between enjoying modern tech at bargain prices. Being compatible with the latest Android software brings many benefits of upgrading to a new phone, too.